Get news and updates from RT about the Dakota Access Pipeline (DAPL), which is an underground oil pipeline running from North Dakota to Illinois. The public was informed about the project in 2014, the building started in 2016, and construction of the Dakota Access Pipeline was finished. It started operating in 2017. Find the articles on the creation, construction, and work of the Dakota Access Pipeline, including the companies working on the project. 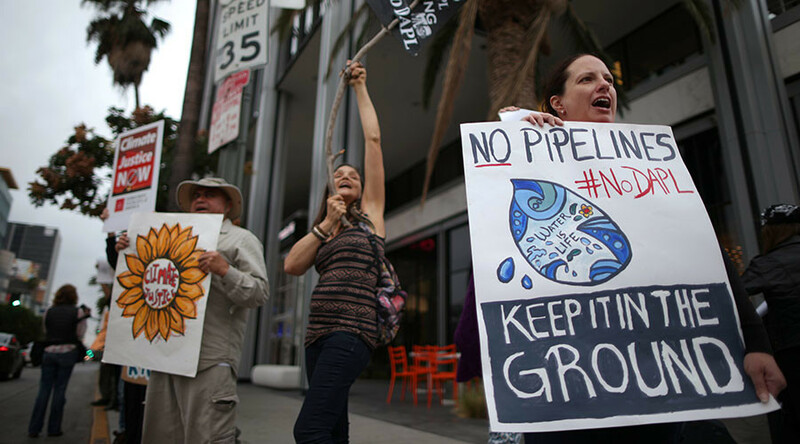 The Dakota Access Pipeline has made global headlines due to endless protests against its launch. 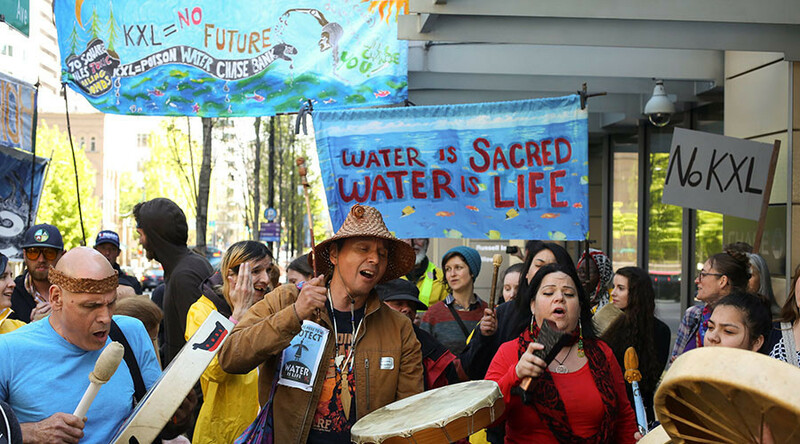 A number of local Indigenous Americans argued that the route of the pipeline threatened both the environment and sacred Native American burial grounds. 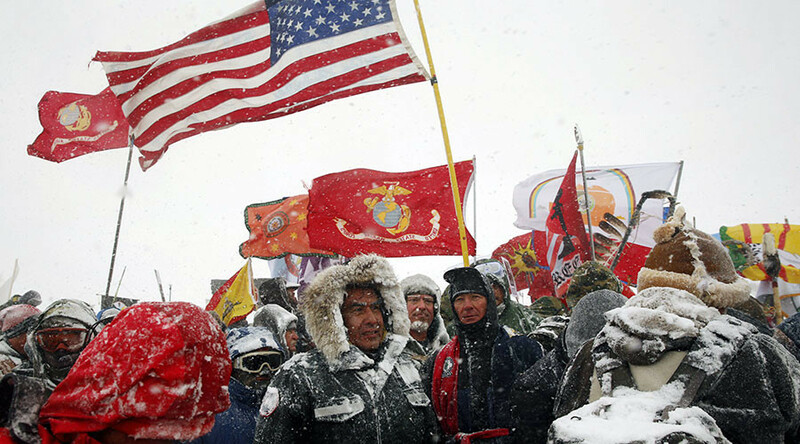 The protest near the Standing Rock Indian Reservation held by Native Americans attracted attention worldwide. Follow RT for reports and the latest news on the possible harm to the area and the Dakota Access pipeline protests. 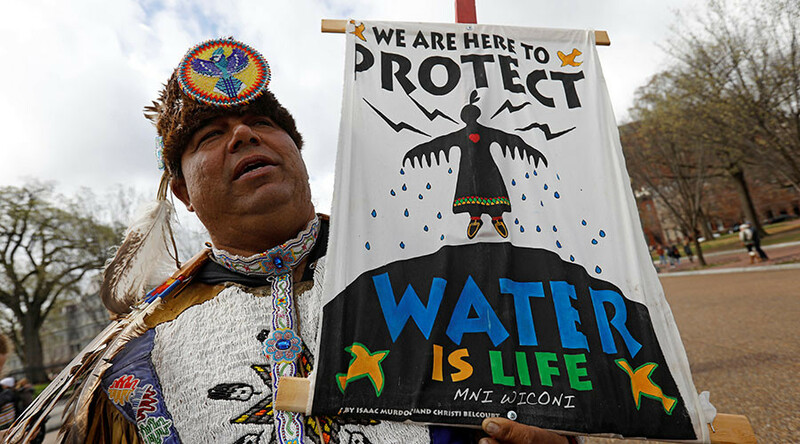 Bernie Sanders, a senator and candidate for the 2016 Democratic presidential primaries, has been a vocal supporter of Indigenous Americans, saying that the water supply of millions of people shouldn’t be endangered. He even joined the people in the protest in front of the White House and spoke out against the Dakota Access Pipeline project. Read articles and news about Bernie Sanders’ support for demonstrations against the pipeline. 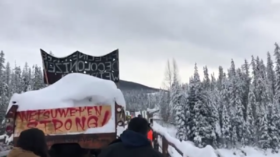 A standoff between heavily armed Canadian police and Wet'suwet'en tribal activists opposing a $40 billion pipeline project running through their ancestral lands is inviting comparisons with Standing Rock Sioux protests in the US. Energy Transfer Partners, the corporation behind the Dakota Access Pipeline, has sued Greenpeace and other environmental groups for “eco-terrorism” over their protests against the controversial pipeline. The Dakota Access Pipeline long protested by groups of Native Americans and environmentalists begins carrying oil Thursday. There may be an ebb in the oil flow, however, as the pipeline company faces scrutiny over how it cleared its construction path. A private security firm which started out as a US military contractor and has been hired by the controversial Dakota Access Pipeline (DAPL) to counter indigenous activists protesting its construction, has used "military-style counterterrorism measures," the Intercept reports. 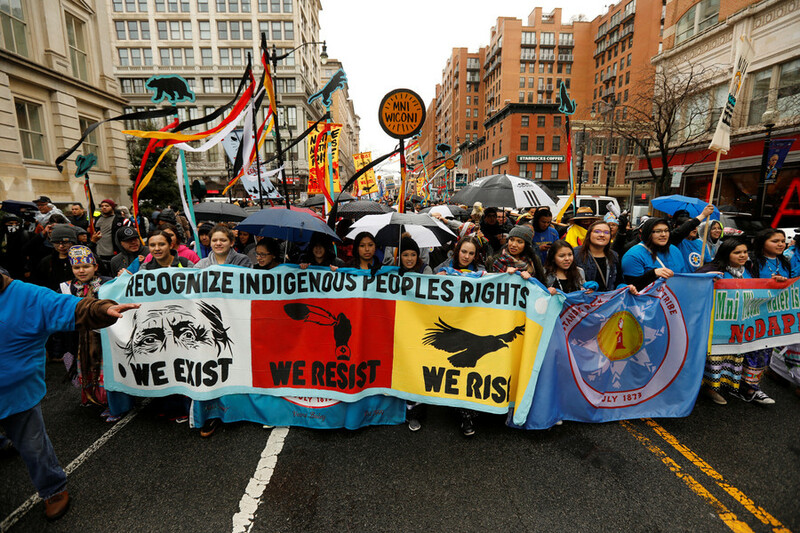 North American tribes are uniting to declare their opposition to the planned Keystone XL pipeline following President Trump administration's approval of the once-suspended project. The 1,700-mile line will help carry tar sands oil from Alberta to Texas.